Mosley answered some questions in an email exchange with the Daily Press. DP: You advise others on how to write novels. How did you get your own start? Mosley: I was 34, working as a programmer/consultant at Mobil Oil on 42nd Street in Manhattan. One Saturday when there was no one else around I got tired of coding in the report program language RPG and instead wrote a sentence – “On hot sticky days in Southern Louisiana the fire ants swarmed.” I thought, hey, this could be a novel. I’ve been writing ever since. DP: This is a cliché question, but people always want to know where writers get their ideas. Where have you gotten yours? Mosley: All important ideas in all forms of art come from the unconscious. I just keep on writing and sooner or later these ideas make themselves evident. DP: There are now 13 books in your Easy Rawlins series. How do you keep the story line fresh after so many books? Mosley: My Easy novels are time travelers; they pass from era to era. That way Easy is always older and the world is always new – to him. DP: At the end of “Blonde Faith” in 2007, it seemed that Easy Rawlins might be dead – but he came back six years later in “Little Green.” Do you ever get tired of writing about this character? Mosley: I’m tired of the series after each book. But then I write a different book, or two, and I’m ready to come back to Easy again. Mosley: I wrote “This Year You Write Your Novel” because people are always asking me about them and their novels, or the novels they want to write. I know that if I had 90 minutes I could answer that question completely, but it is rare that I have the time. I wrote the book so my answer is always somewhere within reach. DP: Do you give writing workshops or classes or otherwise work with writing groups? Mosley: Twice a year I teach at the Sundance screenwriters lab – but that’s all. DP: Can you pick several pieces of advice from the book, or from your experience, to give aspiring writers? Mosley: There’s only one piece of advice aspiring writers need: Write each and every day of your life. Write on a book, not in a journal, and work on one project until it is finished. DP: Explain your writing process. How is a typical writing day structured? Mosley: I write as I described above, and I write three hours a day. DP: What’s the one thing you know now that you wish you’d known when you started out? Mosley: This question has no foothold in my experience. It was all necessary and therefore I cannot regret anything. DP: What are you working on now? 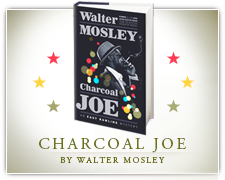 Mosley: Right now I’m finishing the next Easy Rawlins novel – “Charcoal Joe.” After that, I have some TV work to do. 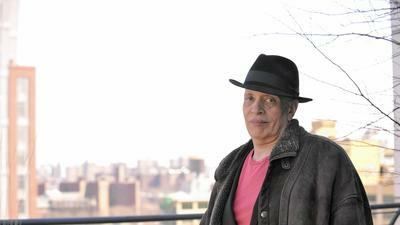 Best-selling author Walter Mosley will speak at the Kimball Theatre, on Merchants Square in Williamsburg, at 7 p.m. Friday. The event is free, but reservations are required. For details and reservations, call 757-221-2437.